Bollywood star, Kumar Sanu, releases new Album ‘Amor’! Now producing music for the UK music industry, Kumar Sanu is making waves with his new album ‘Amor’ out June 2nd! The promo video is an urban feature about his love for women. It has fast beats and crazy camera angles! Tracks from the album include ‘Tu Ares’ which brings a Caribbean twist to the Indian pop sound and ‘Ek Masoom Ladki’ with a more deep soulful jazz beat to it, accompanied by an upbeat techno edge. The Song ‘wo ho na ho’ is a deep soulful song, sung beautifully by Kumar Sanu in his sweet heart felt soul voice. The song ‘Ashiqui-Ashiqui’ and ‘TERE BIN’ are contemporary number. Sanu has had previous success with an album in the UK and is now coming back for more. His father Shri Pashupati Bhattacharjee was a prominent classical singer who, after a long career, found his place in Bollywood movies – setting the tone for his son’s career to follow. 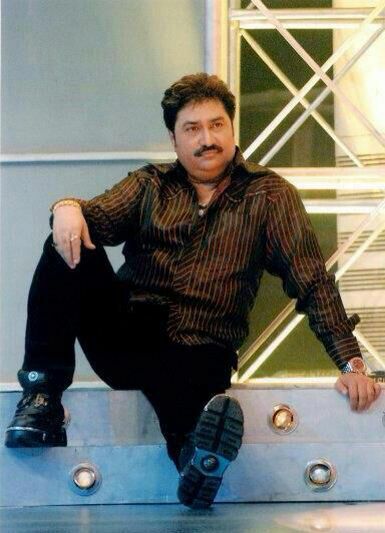 Kumar Sanu has now acquired a total of 69 awards over a glittering career including 64 in his native India (from Filmfare, Zee Cine, Kishore Kumarand more) plus 5 internationally (from Sunrise Radio-London, West Indian Academy, Grammy-West Indies, Bollywood Music-U.S.A. and Radio Lotus-South Africa). The success and undeniable vocal talent has made him one of the highest profile names in Bollywood, an accolade which he has used to give back to willing charities. The organisations he has helped support include ‘Tsunami Victims Support’, ‘Cancer Research donations’ and ‘school & orphanage development programmes’. Sanu certainly can’t be accused of resting on his laurels. In fact, in 2009, he was awarded the PADMA SHRI award – the 4th largest civilian award it is possible to receive only from the President of India. Also Mumbai, Holland and Zurich hospitals use one of Kumar songs in their treatment of cancer patients! Space Elevator will Rock you!